Asian Business School (a part of Asian Education Group) – ranked as one of the best B-schools in Delhi NCR – recently held its annual inter-college cultural fest by the name of AEG ‘KESSHET 2019-Season 6’ on Thursday, 17th January 2019 at its campus in Noida with full fanfare and gusto, all in the filmy style. One of the interesting event activity at this gala celebration was the “Hamari Adalat” competition. 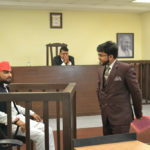 “Hamari Adalat” was planned as an attempt to harness the public opinion on relevant and prevailing social issues. The event was supposed to help the participants to speak out their mind on issues having an impact on society at large. The program envisaged the knowledge, awareness and sensitivity to socio-legal aspects of society and nation as a whole. To participate, each team needed to have a minimum of 3 and a maximum of 7 participants. 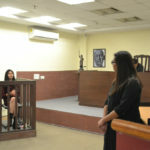 Being an attempt to re-create the ambience of a court room scene, the participants were in the capacity of 1 as an interviewer, 1 as an interviewee and the rest as audience. The interviewer asked questions to interviewee regarding the prevailing current legal and social issues, and the audience of the team were allowed to share their views on the topic. The teams were to be judged on the basis of content, knowledge, command over the issue, deliberation on the given topic. The topics/theme for discussion were allotted to teams by draw of lots which took place on the date of competition. Each team got 15 minutes to perform and discuss the topic assigned to them by draw of lots, and the initial 5 minutes was provided to the concerned team to discuss amongst themselves. The names of the winning team members of this event were Sukriti, Aditya, Piyush & Shameshar from Asian Law College, Noida.